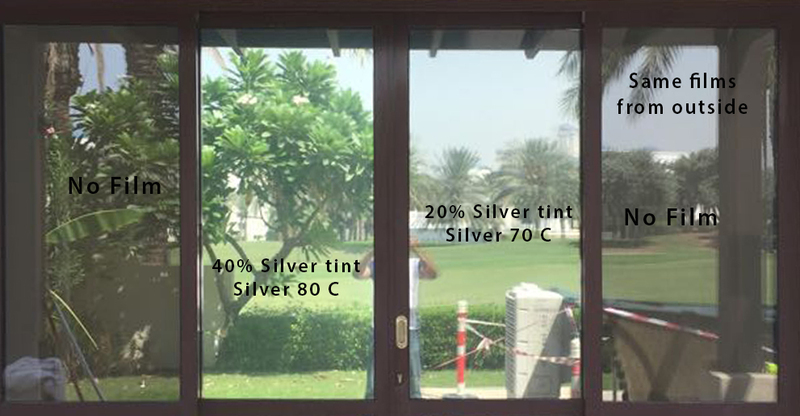 Silver 70 C (20% silver tint) and Silver 80 C (40% silver tint) are two of the most efficient heat rejection films available in the market today. The 40% silver tint film blocks 80% of the heat, glare and light. 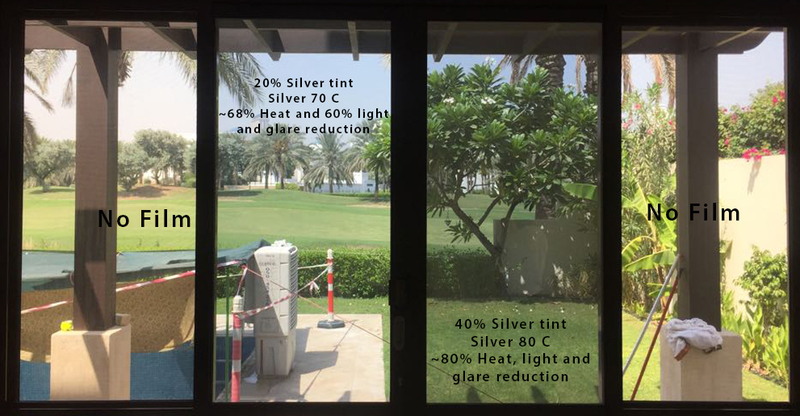 The 20% silver tint blocks 68% of the heat, 60% of the glare and 62% of the light.